Our attorneys have a thorough understanding of laboratory operations, testing standards, and requirements that has enabled us to secure extremely successful results for our clients. Whitney, LLP’s managing partner, Daniel W. Whitney, has a 20+ year history of successfully litigating cases involving medical and clinical laboratories across the country. He has been lead counsel on numerous claims involving Quest Diagnostics and Labcorp, two of the largest clinical laboratories in the world. His comprehensive 39 page article “Recovery of Damages for Wrongful Birth,” as published in 2011 in the Journal of Legal Medicine is a lawyer’s guide to recovering compensation in wrongful birth cases. The article is available here: Recovery of Damages for Wrongful Birth. Whitney, LLP has the advantage of experience dealing with all of the various types of cases that can be brought against laboratories that test medical specimens including blood, urine and tissue as well as prenatal testing. We understand the way insurance companies and risk management departments approach and evaluate the claims, and are familiar with the types of cases and strategies that yield the highest settlement values. False positive tests are most common in employment drug testing and testing for sexually transmitted diseases (STD). A false positive in both situations can be caused by a careless laboratory employee mislabeling one patient’s sample as someone else’s sample. 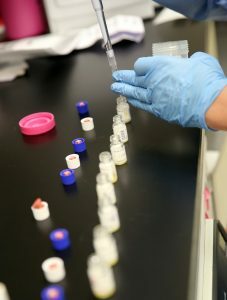 The immediate results of a false positive drug tests have resulted in drug-free employees immediately being fired from their jobs based on a positive drug test. False positive STD tests can cause severe emotional distress, ruin relationships, and have other extensive consequences based on the patient’s reaction. False negative STD cases can result in the patient infecting their partners with a disease that should have been detected. 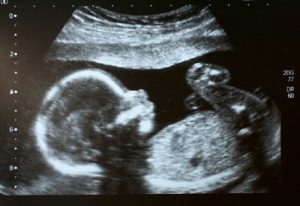 Wrongful birth is a tragic situation involving a doctor or laboratory that negligently failed to detect a birth defect or a genetic defect that would have resulted in the parents terminating the pregnancy in an effort to save a child from suffering. When a child is born with a birth defect or genetic defect that should have been detected, but was not, the parents are able to seek the costs of medical care for their child who requires extensive care for the duration of their life. Parents also are able to recover the cost of raising the child, with consideration given to any special needs the child may have due to the defect they were born with. Often times when children are born with birth defects or genetic defects, a doctor failed to order a commonly used test, a test sample was misread, or a laboratory test was negligently handled. Determination of paternity through DNA testing has obvious consequences. If a mistake is made and a man is incorrectly ruled out as the father, he is likely to believe his wife or girlfriend was unfaithful. Relationships can be destroyed between the couple as well as the child and true father. If, on the other hand, a man is incorrectly identified as the father, a court may order support payments in a paternity action. Although mistakes in DNA testing can happen, proper safeguards should be in place for the very purpose of catching mistakes before the erroneous result is reported. For instance, two specimens of each person’s DNA should be tested by two different laboratory technicians. The same lab may do paternity tests for a second child of the same mother. Inconsistencies in the two tests may reveal the error, and the laboratory should then disclose that the first test was wrong. A patient may have a suspicious skin lesion that is biopsied to rule out malignant melanoma. This is a particularly aggressive form of cancer. Pathologists at times misdiagnose melanoma and report it as blue nevus, compound nevus, granulation tissue, junctional nevus, prominent pagetoid growth, squamous cell carcinoma or solar lentigo. A misdiagnosis can lead to metastasis and untimely death. 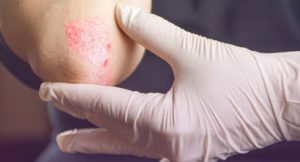 Other times, laboratories err in the other direction and incorrectly diagnose a benign skin lesion as melanoma, leading to unnecessary surgery and treatment. 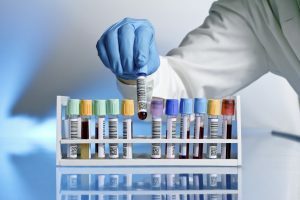 When a doctor orders a blood test, the patient often goes to Quest Diagnostics, LabCorp or the hospital’s lab for a blood draw called a venipuncture. 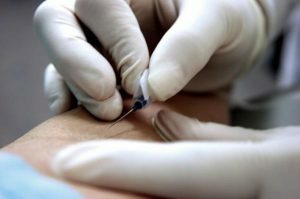 If the technique is incorrectly performed, the patient can sustain injuries, termed “needlestick injuries.” Poor techniques include probing, improper angle of insertion and insertion too deeply. Needlestick injuries can range from extensive bruising from perforation of veins; nerve damage caused by a needle penetrating a nerve; infections; uncontrolled bleeding from an artery being penetrated; and puncturing bones. Patients with a history of atrial fibrillation (AFib), heart attack or stroke are prescribed anticoagulants such as warfarin. Blood must be regularly tested for bleeding times to make sure the correct dose is given. A Prothombin Time (“PT”) test is given to determine how fast it takes for the blood to clot. If too much blood thinner is taken, the patient can hemorrhage and bleed to death. If not enough is prescribed, the blood can clot, resulting in heart attack or embolism. When performing PT tests, labs mix a compound (the reagent) with patient samples. Batches of reagents may differ, so the testing machine must be recalibrated with each new batch. If the machine is not recalibrated, the results will be wrong and the amount of blood thinner taken by the patient can be deadly. Another example of recurring laboratory errors pertains to reporting of results. An accurate test means nothing if it is not timely transmitted to the physician. Certain lab tests must be reported immediately. A failure to immediately report the results to the treating physician can lead to death or severe and long term injury. The same is true as to critical value determinations. A failure to timely notify the treating physician of a lethal bacterial infection has devastating consequences, including death. Although clinical laboratories utilize sophisticated instruments, ultimately a human is involved in the process, and human error can be the result of negligence. Laboratories handle thousands of different types of tests every day, and the employees are not always as careful and thorough as they need to be. A specimen could be sent for review for 2-day delivery instead of overnight for immediate review. A machine could be improperly calibrated or improperly sterilized. Improper software may be installed. A test protocol may not be approved by the Food and Drug Administration, yet done anyway. Procedures may lack adequate controls or oversight. The list, unfortunately, is endless. The common factor is failure to exercise reasonable care. If you or a loved one has questions about a potential case, or have suffered from laboratory clinical malpractice, call us for a free consultation at (410) 583-8000. All consultations are confidential and are between you and the attorney who would handle your case.